Born to a revolutionary father who was a prisoner of Peña Dura, a child who would become Bane one day took his father's place and lived in the imprisonment of a flooded chamber for 17 years. As he grew to hate the world, he got cunning and incredibly strong using the super-steroid known as Venom. He came to Gotham City in quest of power but is opposed by Batman, whom he did not see coming. He teamed up with Scarecrow and White Rabbit but the Court of Owls came into their way (Knight Terrors). Bane believed that both Batman and The Court are connected but following Night of the Owls, he is proved wrong. 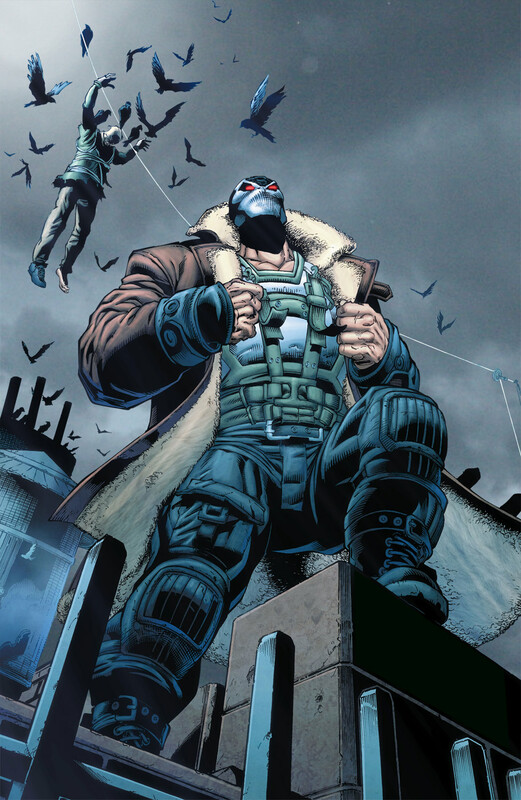 With the unexpected aid from Sebastian Clark, Bane set out to destroy The Court and then went up against a former Talon named Calvin Rose (Scourge of the Owls). Even though Bane snapped Rose's neck in Santa Prisca, he came back and defeated Bane's army. Bane then killed Sebastian Clark and left to conquer Gotham City once again with the malevolent Alfred Pennyworth of Earth 3 (Fall of the Owls). The Crime Syndicate took over the world and "Arkham War" broke in for taking control over Gotham. Wearing his very own Batsuit, Bane fought against Scarecrow's army of Arkhamites and enlists a Talon named William Cobb to help him rule Gotham. He is eventually defeated by Batman, who locked him up in Arkham and he escaped to team-up with Scarecrow but got along with Poison Ivy instead, who betrayed him. 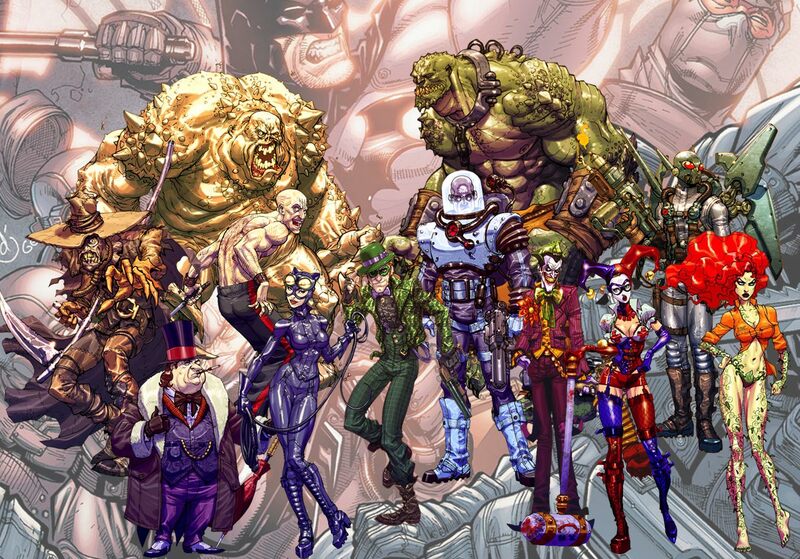 Killer Croc met him in the sewers to settle some old scores and during Joker's Endgame, he fought alongside the Bat-Family to save the city from falling into any further chaos. 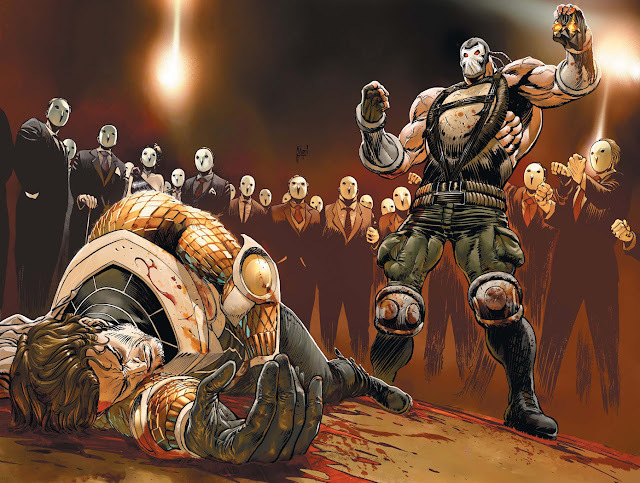 For more information on Bane – New 52 comics series, you can check out the links below. 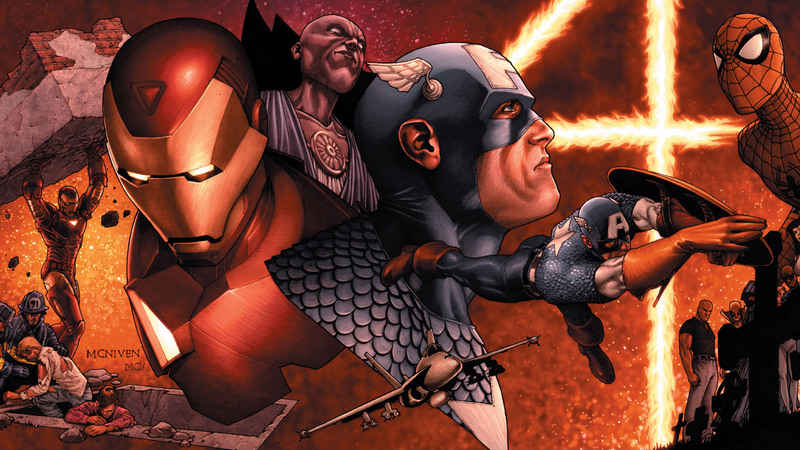 Here is your links to buy "Bane – New 52" comics from DC Comics on Amazon. One of the most dreaded foe that The Dark Knight has ever faced, Bane is most popular for his infamous act of "Breaking The Bat" in the Knightfall saga of DC Comics' New Earth continuity (also known as the "Post-Crisis" era). 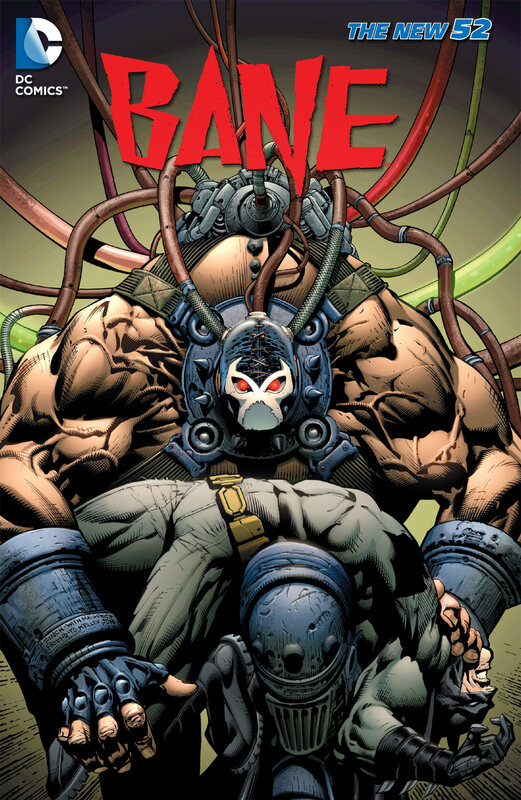 The idea of Bane's character was conceived by comic-book writer Chuck Dixon (Batgirl – Year One, Superman/Tarzan – Sons of the Jungle), Graham Nolan (Hawkworld, JLA Vs. Predator) and Doug Moench (Batman & Dracula – Red Rain, Batman Vs. Predator II – Bloodmatch). However, following the "Flashpoint" crossover event and in the wake of The New 52, Bane set foot on the new rebooted era through the second volume of the monthly ongoing Batman – The Dark Knight. 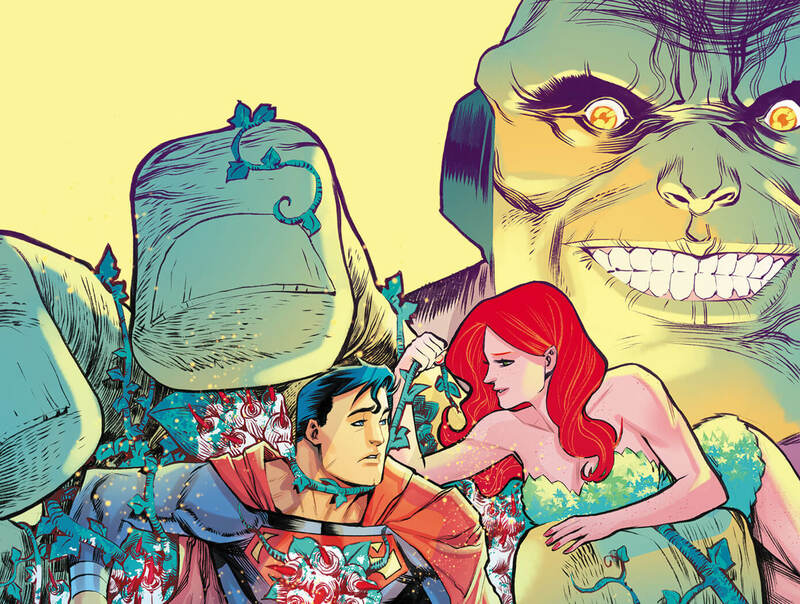 Therefore the credit of his Prime Earth persona development goes to the writer/artist team of Paul Jenkins (Batman – Jekyll & Hyde, The Darkness/Pitt), Joe Harris and David Finch (Aphrodite IX, Brightest Day). 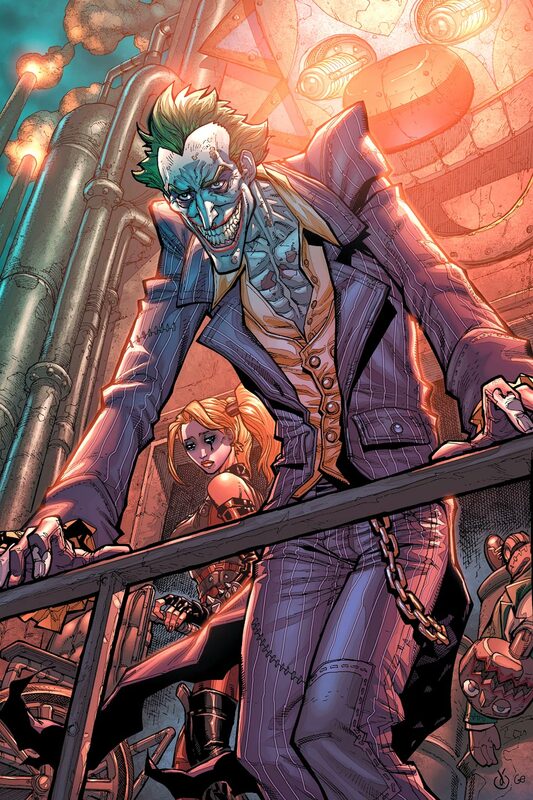 Arkham Asylum is a mental institute for the lodging of criminally insane and Gotham's worst kind of villains. Recently, Batman's arch nemesis, The Joker has spread chaos in the inner circles of Arkham but Batman however, was able to finally put an end to the riot in time that left it all in ruins. The clown prince of crime formerly injected himself with the Venom like serum that super-powered criminal Bane uses to amplify his physical strength, called the Titan formula which had a bizarre effect on him, making him am enormous monster. Batman eventually defeated him in his gigantic form after quite a hard battle and The Joker is left in a dying, sickly state on Arkham. In the heat of the situation, the administrator of Arkham Asylum, Quincy Sharp takes advantage of the situation and becomes the mayor of Gotham City to control the power that runs the city. 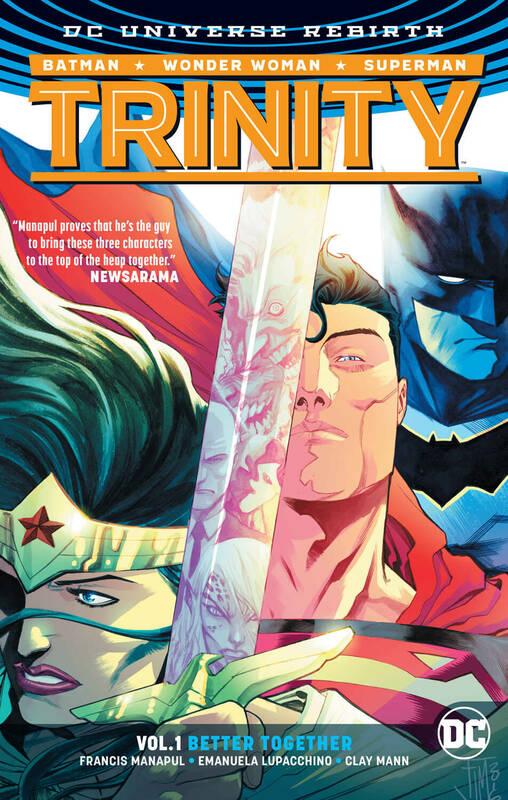 Meanwhile, two super powered thug siblings named "T&T" who were working as henchmen for Two-Face, secretly succumbed to the Titan formula and starts a murderous spree across town, which prompts a martial law in Gotham by Mayor Sharp. Batman is well aware of Sharp's intention and realizes that someone from the behind is orchestrating the entire plot to manipulate the entire series of events. Meanwhile, Joker's girlfriend Harley Quinn decides to perform a rescue mission to set his lunatic lover free to spread limitless chaos together. For more information on Batman – Arkham City limited series, you can check out the link below. 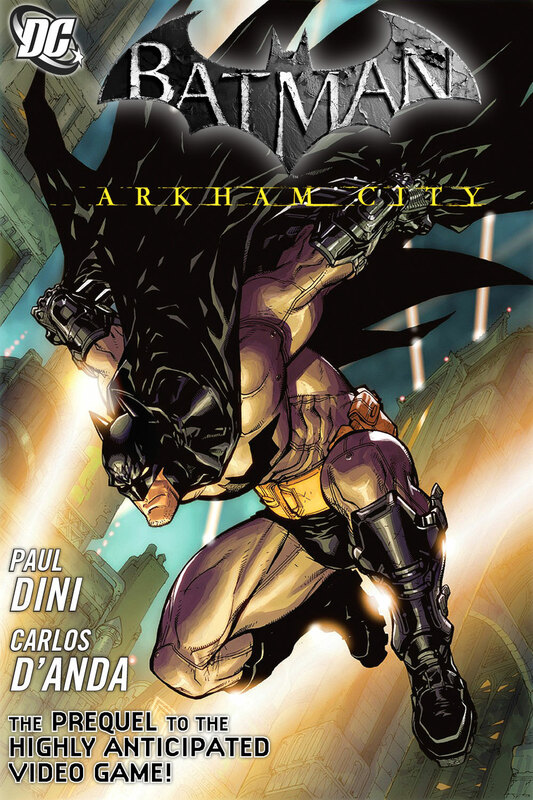 Here is your links for "Batman – Arkham City" limited series from DC Comics in issues. Here is your links for the "Batman – Arkham City" limited series from DC Comics. As a tie-in prequel back-story to the 2009’s smash-hit game Batman – Arkham City, a five issue limited series of the same name was published by DC Comics in the same year. This comic book tale was written by famous Batman veteran Paul Dini (Justice League, Justice League Unlimited) and illustrated by artist Carlos D'Anda (Deathblow, JLA – Kid Amazo). This story is a link up to the first two games of the Arkham series; Batman – Arkham Asylum and Batman – Arkham City. Following the success of this limited series, a follow up monthly ongoing titled “Batman – Arkham Unhinged” was released by DC Comics in 2011, which was a continuation of the chronicles that took place in this book. Killer Croc climbs to the 52nd floor of the Lex-Com tower and breaks in to steal a yellow crystal like rock. As Gotham P.D. tries to investigate into the matter, Lex Luthor’s men has managed to stave them off while looking for Luthor’s missing property and Batman secretly hears their conversation on the situation. It appears that Croc was actually working for a gruesome being named Schrocken to whom Croc has shown a great deal of obedience as well as fear. When he asks for permission to leave, Schrocken got annoyed by him and sent him running by giving him a beating. 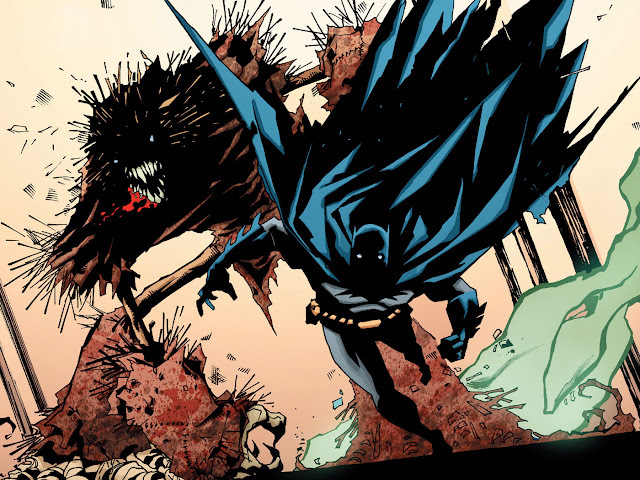 Batman was chasing Killer Croc, who's acting all mindless recently and filled only with blind-rage. Meanwhile, Superman is having some nightmares and cannot concentrate on work either. He feels jealous about Lois going out for an interview with his friend Pete Ross and later tries to peek on them which are not very likely of him. His abnormal behavior is been orchestrated by DeSaad and he has enlisted The Scarecrow to tap into Superman's primal fear. 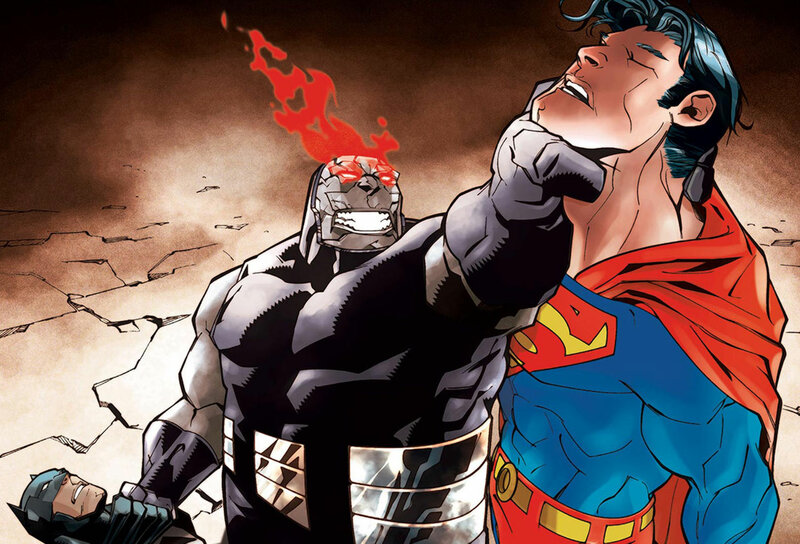 The evil god Darkseid is behind all these schemes who wants Superman to steal the staff of Highfather from Source-Wall to restore his own power, which has diminished since he is released from the Source-Wall (in Superman/Batman – With a Vengeance). 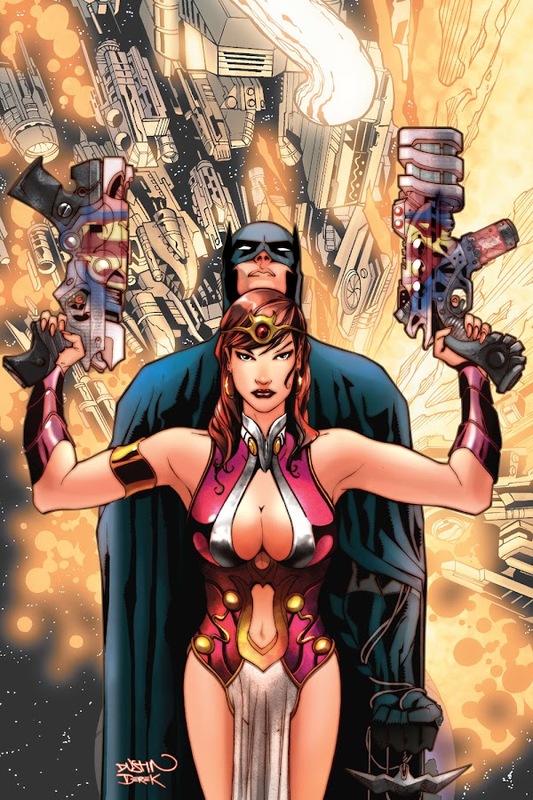 Batman secretly follows Superman, only to be unexpectedly aided by Orion's beautiful yet dangerous wife Bekka, with whom he soon develops a brief but serious romantic relationship that will cause all sorts of trouble. 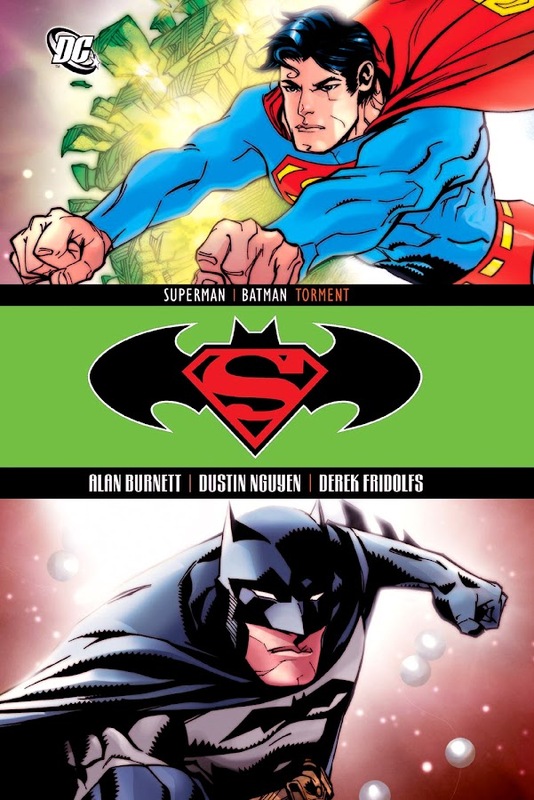 Here is your links for “Superman/Batman – Torment" storyline from DC Comics in issues. Here is your links for “Superman/Batman – Torment" storyline from DC Comics. 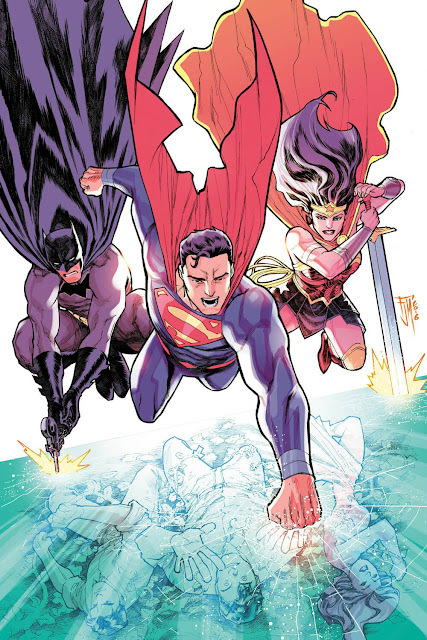 DC Comics have hired writer Alan Burnett; the talent behind the DC Animation Universe (Superman Adventures, Batman Beyond), to pitch a plot for the Superman/Batman monthly ongoing comics series along with artist Dustin Nguyen (Batman – As the Crow Flies, Thanos – A God Up There Listening) in 2008. 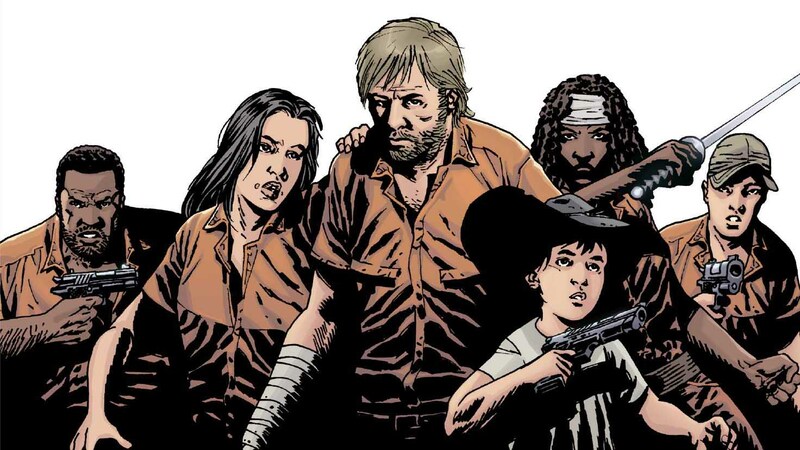 These two talented creators came up with this six part story "Torment", which ran from issue #37-42 of this series and helped linking between the previous events to the current course of action. The story somewhat delivers an aftershock of events that has took place in the series so far and of course a fine conclusion. Batman is in a situation where he is facing a gangster named Thomas Alliaotto, better known as "Big Tommy A". A decade long experienced crime lord has just gone berserk and is carelessly shooting nonstop. Tommy has quite a murderous nature but he was never been a mindless creature. But right now he is hallucinating hideous monsters and demons all around him, which frightens the hell out of him. Batman tries to tranq him down but he is not giving up or slowing down for anything. Batarangs are thrown at him, his shoulder is dislocated, wrist is broken, but Tommy won't stop at nothing. Then all of a sudden he ran like crazy and jumped from the building, a maneuver that Batman failed to stop. Next up, it's an ex-con and commercial club owner Ruben DeSoto went on rampage after three henchmen of Penguin pays him a visit. Batman quickly reaches the spot but had a very hard time subduing Ruben. Finally Ruben's heart gave up and he fell. Meanwhile, Penguin is berating his thugs for their irresponsible behavior that caused the recent incidents. When they were trying to explain what happened to Penguin, a person appears and it is revealed that the Scarecrow has joined Penguin and is now working for him with a vile plot. With no clue about the real culprit responsible for the incidents, Batman also starts suffering from a very old nightmare of his own. For more information on storyline, you can check out these links below. Here is your links for “Batman – As the Crow Flies" storyline from DC Comics in issues. Here is your link for “Batman – As the Crow Flies" storyline from DC Comics. Written by Judd Winick and pencilled by Dustin Nguyen, As The Crow Flies is a five part storyline that ran from issues #626-630 from the first ongoing monthly series of Batman. 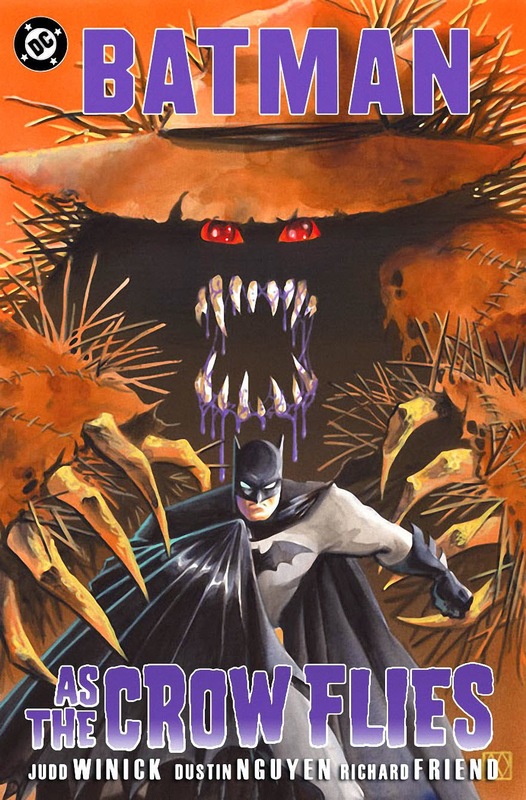 This storyline features Scarecrow and Penguin, two of Batman's villain with a whole new scheme that will tie the story to the next upcoming tale of "Batman – Hush". 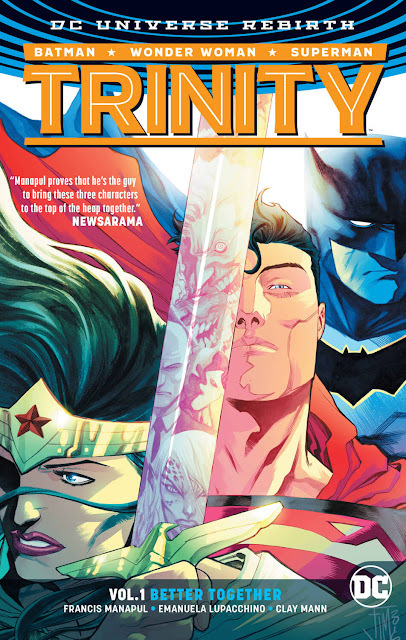 It was published by DC Comics in 2004 and later came out as a trade paperback graphic novel.